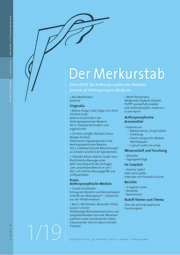 Hintergrund: Das metastasierte maligne Melanom (MCM) – ein stark immunogener Krebs – hat in der Regel eine sehr schlechte Prognose. Viscum-album-Extrakte (VAE) zeigen starke immunstimulierende, apoptogene und zytotoxische Wirkungen. Fallbericht: Eine 66-jährige MCM-Patientin mit neu diagnostizierten Lymphknotenmetastasen entschied sich für eine alleinige VAE-Therapie. VAE wurden zunächst subkutan, später in ungewöhnlich hohen, fieberinduzierenden Dosierungen auch intravenös und intraläsional gegeben. Die Metastasen verkleinerten sich über die nächsten Monate und nach 2 Jahren waren alle Läsionen vollständig zurückgebildet (regionale und hiläre Lymphknotenmetastasen). Die Patientin ist zum Zeitpunkt der Publikation 3 ½ Jahre tumorfrei (5 Jahre seit Beginn der intensivierten VAE-Therapie). Neben Fieber und grippeähnlichen Symptomen zeigten sich keine Nebenwirkungen. Diskussion: Wir nehmen an, dass die Therapie mit VAE eine vermehrte Ausschüttung von Tumorantigenen, eine vermehrte Immunprozessierung der Tumorantigene und damit eine verstärkte Immunantwort gegen das Tumorgewebe bewirkte, die zur vollständigen Remission geführt haben. Introduction: Metastatic malignant cutaneous melanoma (MCM) – a highly immunogenic cancer – typically has a poor prognosis. Viscum album extracts (VAEs) have strong immune-stimulating, apoptogenic, and cytotoxic effects. Case presentation: A 66-year-old MCM patient with newly diagnosed lymph node metastases opted for sole VAE treatment. VAEs were initially applied subcutaneously, and then later in exceptionally high, fever-inducing doses, both intravenously and intralesionally. The metastases shrunk over the following months, and after 2 years, all lesions had completely remitted (regional and hilar lymph nodes). The patient has been tumor free for 3.5 years at the time of publication (and for 5 years since initiation of intensified VAE treatment). Besides fever and flu-like symptoms, no side effects occurred. Discussion: We presume that VAE triggered an increased release of tumor-associated antigens, enhanced immunologic recognition, and increased immune response against the tumor tissue and induced tumor remission. 6 Kienle GS, Kiene H. Die Mistel in der Onkologie. Fakten und konzeptionelle Grundlagen. Stuttgart, New York: Schattauer Verlag; 2003. 7 Büssing A. Mistletoe: The Genus Viscum. Amsterdam: Harwood Academic Publishers; 2000. 9 Elluru SR, van Huyen JPD, Delignat S, Prost F, Heudes D, Kazatchkine MD, et al. Antiangiogenic properties of viscum album extracts are associated with endothelial cytotoxicity. Anticancer Res 2009;29(8):2945–2950. 11 Kienle GS, Kiene H. Complementary cancer therapy: a systematic review of prospective clinical trials on anthroposophic mistletoe extracts. Eur J Med Res 2007;26(12):103–119. 24 Mahfouz M, Ghaleb H, Hamza M, Fares L, Moussa L, Moustafua A, et al. Multicenter open labeled clinical study in advanced breast cancer patients. A preliminary report. J Egypt Nat Cancer Inst 1999;11(3):221–227. 26 Iscador AG (Hg). ISCADOR in der Tumortherapie: Empfehlungen für die Behandlung in Deutschland. 2. Aufl. Arlesheim, CH; 2016. 28 Kuby C. Mental Healing: Das Geheimnis der Selbstheilung. München: Kösel; 2010. 29 Maletzki C, Linnebacher M, Savai R, Hobohm U. Mistletoe lectin has a shiga toxin-like structure and should be combined with other Toll-like receptor ligands in cancer therapy. Cancer Immunol Immunother 2013;62(8):1283–1292. DOI: https://dx.doi.org/10.1007/s00262-013- 1455-1. 30 Cann SH, Van Netten JP, van Netten C. Dr William Coley and tumour regression: a place in history or in the future. Postgrad Med J 2003;79(938):672–680. 32 Hobohm U. Fever and cancer in perspective. Cancer Immunol Immunother 2001;50(8):391–396. 34 Eldorry AK, Shaker MK, Barakat EM, Abdallah H, Khalifa MO, Elbreedy AM. The effect of a mistletoe preparation with defined lectin content in advanced hepatocellular carcinoma cases. American Association for the Study of Liver Disease 2008;424.